Deicke Richards partnered with Buckley Vann and McGregor Coxall to work on master planning this riverfront Bulimba Barracks site. 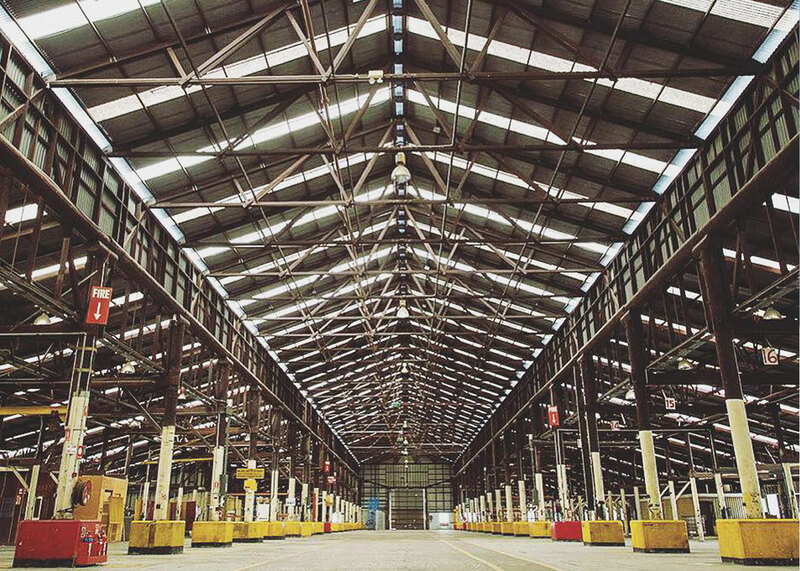 The Australian Government Department of Defence (DoD) announced its intention to sell much of the site in early 2015. 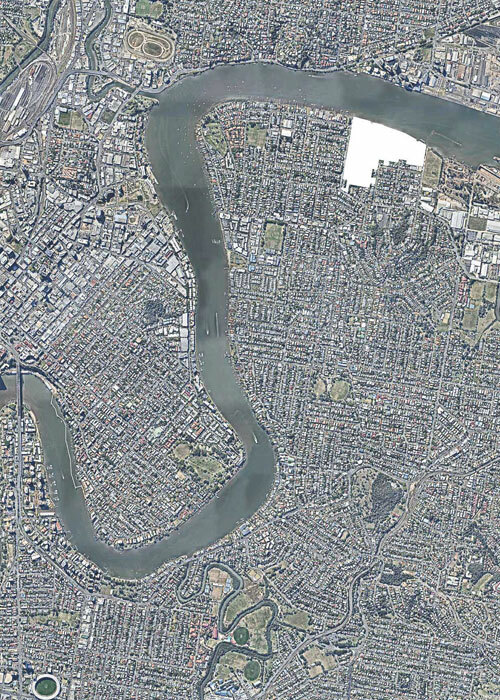 Brisbane City Council (BCC) immediately began a local planning process to ensure any future development would align with the local community’s expectations and maximise the riverfront potential. 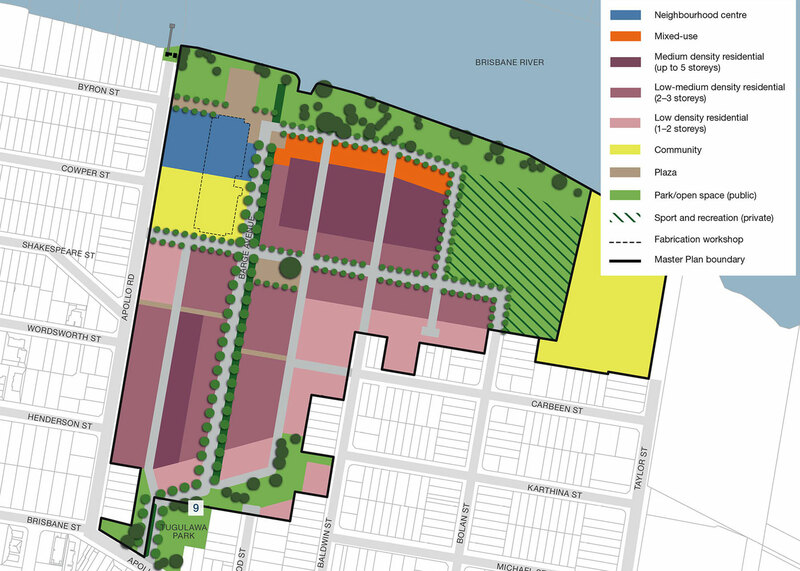 The site master plan needed to maintain faith with the principles of the Bulimba Neighbourhood Plan and engage the local community. Timeframes were extremely tight, with a little over a week to bring together a site structure plan. The team’s work delivered on Council’s intention to create a resolved, fine-grain plan. Outcomes included a particular focus on the sensitive integration of built form with adjoining development, an appropriate mix of uses and a diversity of housing types. A focus of the design is a central drainage swale which assists with the overland flow from steeper land to the river. The plan sets the framework for a new neighbourhood which focuses on the riverfront. A landmark within the site is a large historic fabrication workshop, used to construct barges in WWII. The plan retains the workshop within a riverfront retail node. A large public park extends across the entire waterfront providing generous access to the river and a setting for higher density housing to capitalise on this north-facing outlook. DR and McGregor Coxall were subconsultants within the team.